The Wind Energy Foundation has just released a new report. 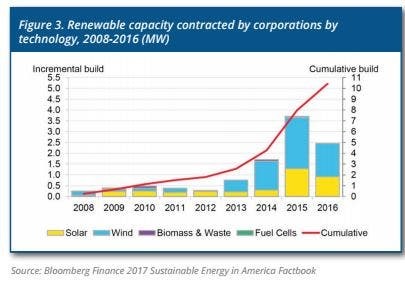 In it, they talk about the need for US transmission planners to modify their calculations based on the number of big companies that are increasingly signing deals to buy wind and solar power. 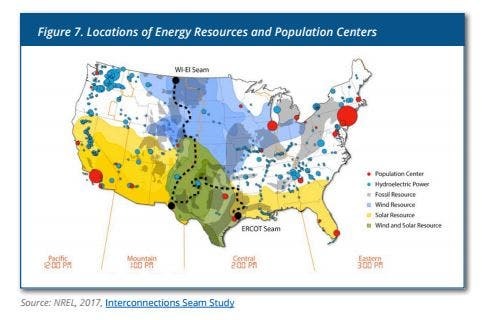 In this CleanTechnica exclusive, we interview John Kostyack, executive director of the Wind Energy Foundation, and David Gardiner, lead author representing David Gardiner and Associates, about the report and its consequences for broader wind and solar energy access. You say in the press release that “that big companies are increasingly signing deals to buy wind and solar power, and their large and growing demand may exceed the capacity of existing and planned transmission lines – yet transmission planners aren’t taking this into account as they draw up their future plans.” What would persuade these transmission planners to rethink their approaches? How would you describe the current state of transmission lines across the US? What specific upgrades and expansions would you recommend? The report illuminates the large customer demand for renewable energy through transmission upgrades and expansion, and its target audience seems to be primarily discussing large companies and corporations that have significant energy needs. How is this report relevant to the average individual consumer? What consequences might an expanded and upgraded US transmission line have for individuals in the US? RI governor, Gina Raimondo, has said, “I’m a big proponent of wind and offshore wind, but the short term solution to bring down energy costs for businesses and families is natural gas.” (Note: Raimondo has since backed away slightly as a natural gas advocate.] Many like Gaimondao adhere to a position that wind just can’t provide the capacity right now that natural gas can. What does the report outline that contradicts this perspective? What should we tell the nation’s governors about transmission line expansion? What can climate change activists do with the information provided in the report? Cost savings seems to be primary motivator, but how do you recommend that climate change activists translate the concepts of grid reliability, air quality improvements, and carbon emission reductions through transmission upgrades and expansions to the local level? Any final thoughts for the CleanTechnica audience? 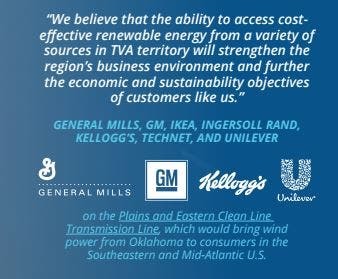 What’s a quick, down-and-dirty description of the Take Away for CT in the “Transmission Upgrades and Expansion: Keys to Meeting Large Customer Demand for Renewable Energy” report?